Ashdon Road, Saffron Walden. 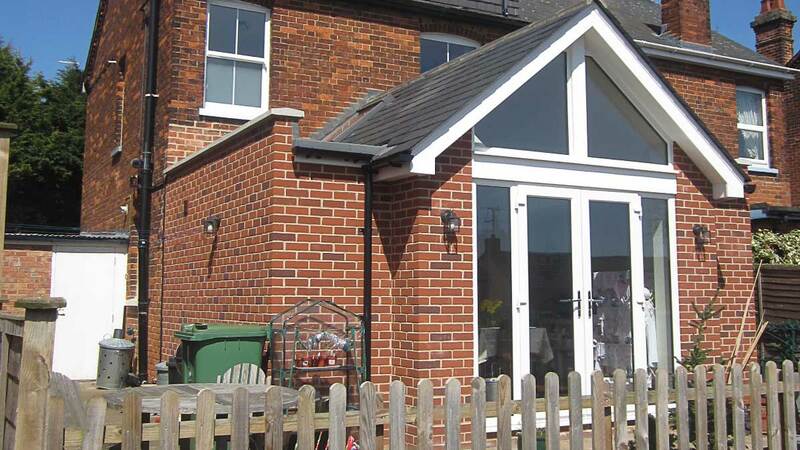 Single storey rear extension to a Victorian semi. A vaulted roof between the first floor windows provides the ‘wow’ factor centrally located with small flat sections either side. A parapet wall at the boundary prevents any maintenance issues from the neighbours side.